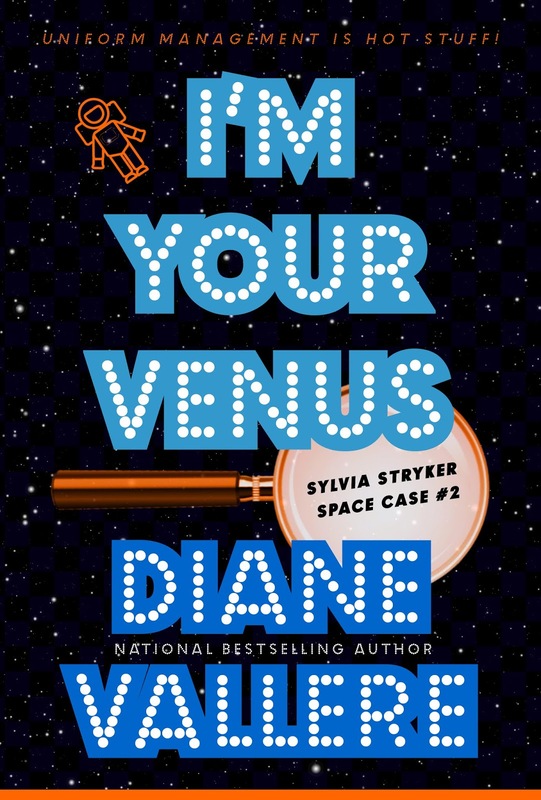 Killer Characters: Who are you calling Space Case? Who are you calling Space Case? Hi! I’m Sylvia Stryker. Lieutenant Stryker to you. Well, okay, you can call me Sylvia. But everybody on the Moon Unit 6 will call me lieutenant, and not because I hacked my way on board like I did on Moon Unit 5. I’m here officially this time! That’s right. Hired by the new owners of Moon Unit Corporation into the job of uniform manager. I know I did this job before, but this time it’s legitimate and there’s something about going through the proper channels that feels really, really good. In case you missed my first adventure, let me get you up to speed: I dropped out of the space academy after my dad was arrested for colluding with space pirates. I worked with my mom in our dry ice mines. She secretly sent in an application to Moon Unit 5, I got accepted, and failed the physical. So I paid off a doctor to falsify my test results, uploaded them into the computer, and filled the job left vacant by the original uniform lieutenant. I ended up solving the murder of her brother on that trip to the moon, and all things considered, that made the Moon Unit Corp see me as someone they liked having on their payroll. This time we’re going to Venus. Venus! I’ve neve been to Venus! The new owners of the company put together a publicity contest for this trip, and the winner is going to be announced right before departure. I’m so psyched. I don’t think anything could spoil this. I’m going to make friends with everybody and do my job and steer clear of trouble and build a career for myself by going through the proper channels. “Stryker,” said a gruff voice behind me. I turned to face a wall of muscle dressed in a fitted black T-shirt and a pair of cargo pants. Only one division of the Moon Unit staff wasn’t required to wear regulation uniforms on the day of departure: security. But it didn’t take the memorization of the Moon Unit uniform regulations to recognize the man approaching me. He was Neptune, the head of the security division. “I wasn’t sure I’d see you today,” he said. Neptune raised one eyebrow. It was his signature facial expression. During some of the worst circumstances I’d ever experienced in my life, the only reaction I’d gotten out of him was a raised eyebrow. That’s probably why I was so willing to bait him now. I do love a challenge. “Don’t worry, you won’t have to bust me this time. I’m an official crew member. See?” I held up the plastic ID that hung from a lanyard around my neck. Sylvia Stryker, Uniform Lieutenant, 2nd rank, Moon Unit 6. Yep, this time I was totally legit and there wasn’t anything anybody could do to burst my bubble. 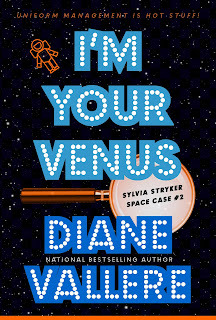 After a brief hiatus, Sylvia Stryker is back! And for a limited time, you can get her first adventure for 99 cents. 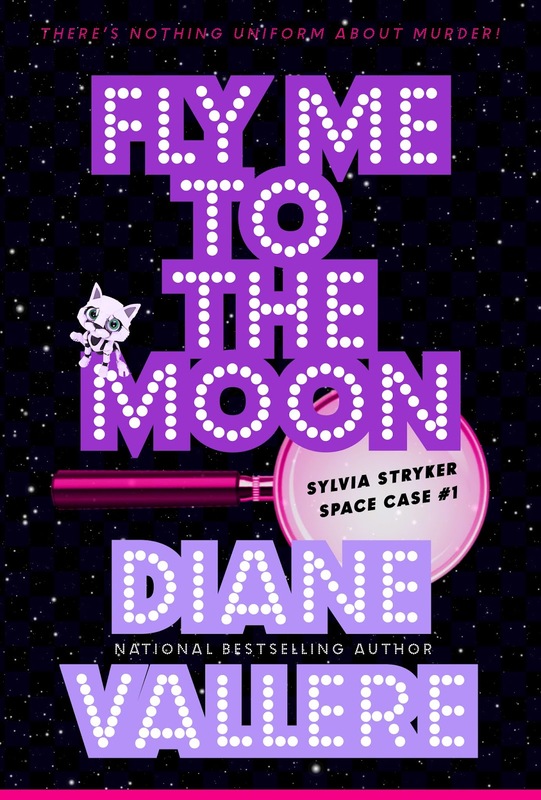 BUT if you leave a comment on this blog post, you could win a signed paperback of FLY ME TO THE MOON! Sylvia is new to me, but looks as fun as Vallere's other great characters! This looks intriguing. Thanks for the chance. This sound different but fun. What a fun idea for a story. I'm curious what a uniform manager does. This is a new series to me. Sounds like a fascinating read. I loved the first book in this series and can't wait to read this one. Fun times ahead. Thanks for the chance.